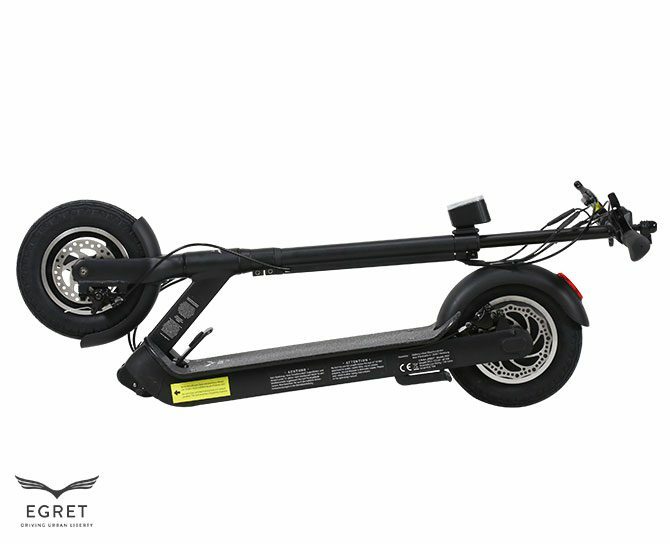 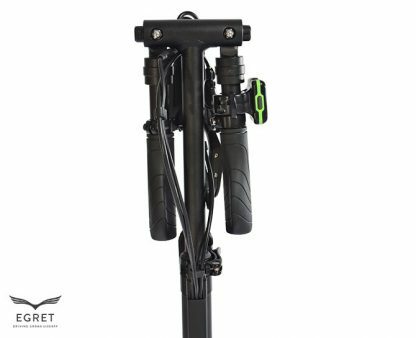 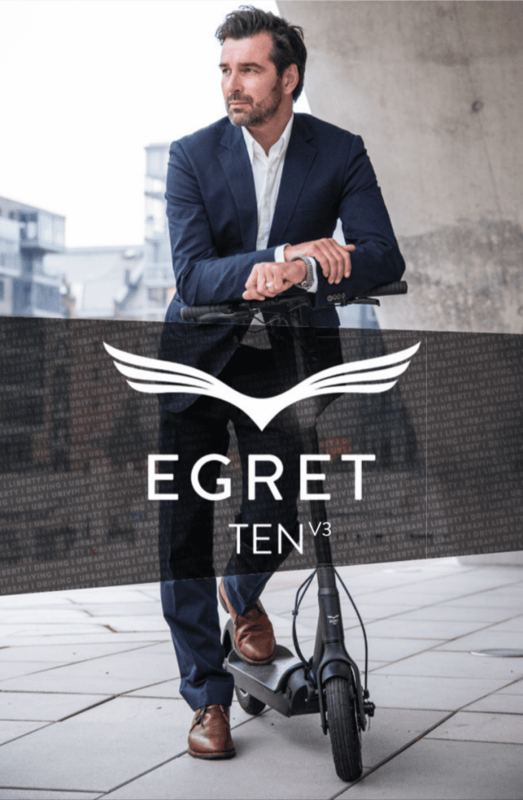 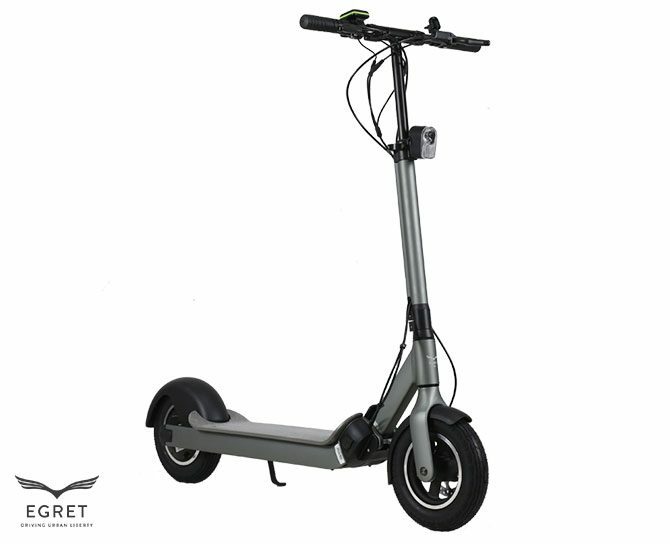 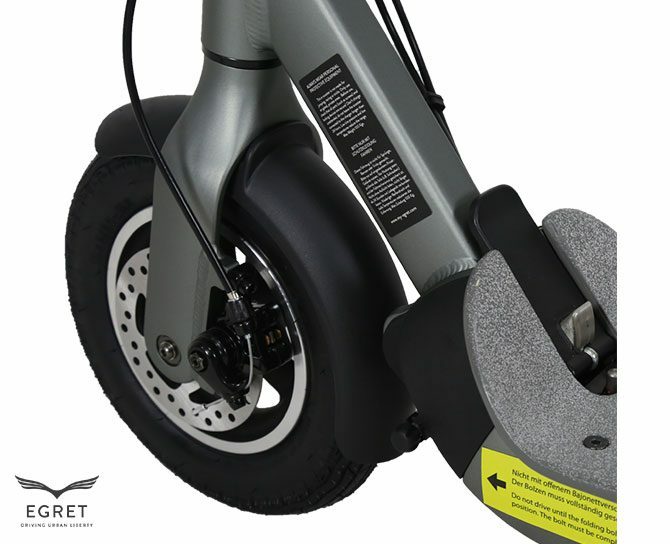 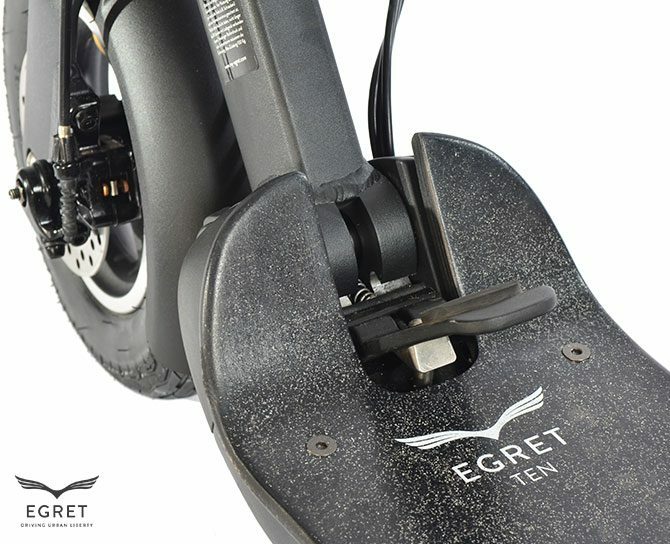 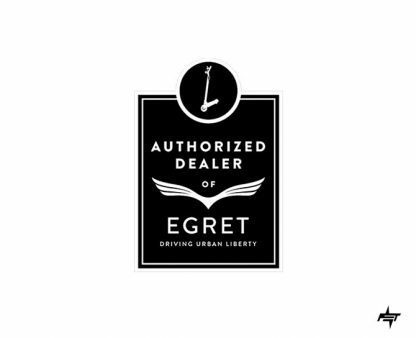 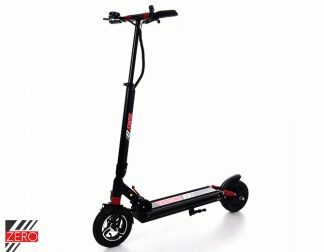 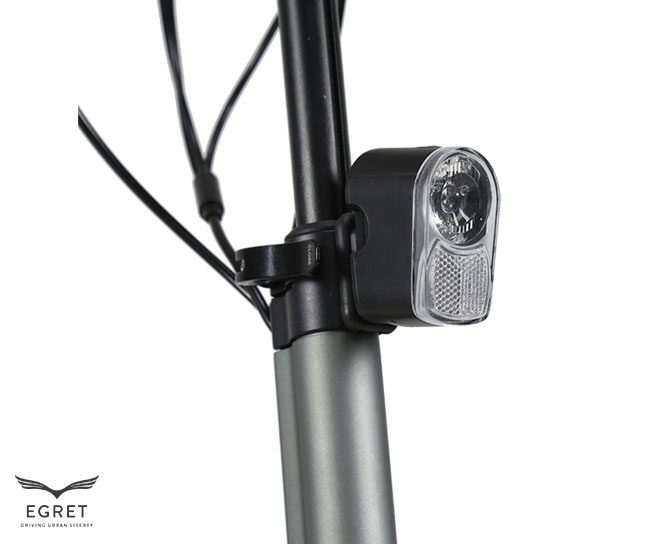 The EGRET-TEN V3 makes you king of the road, combines the compact design with a particularly high level of comfort due to it’s 10” inflatable tires. 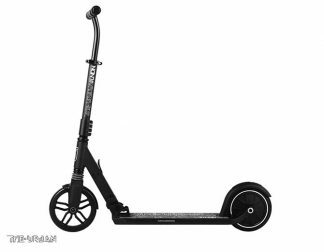 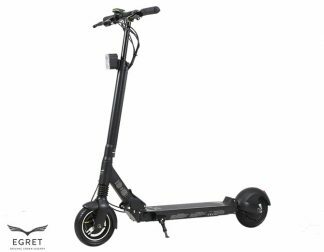 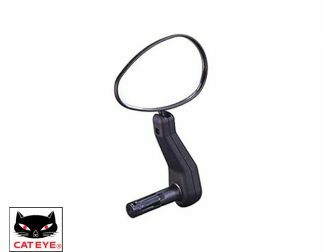 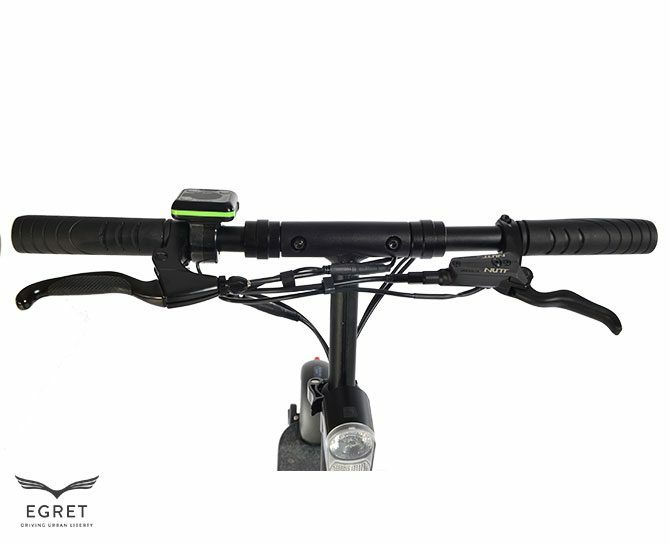 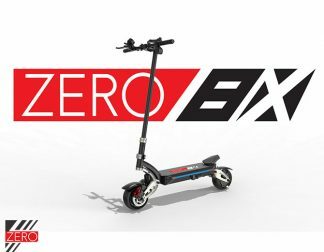 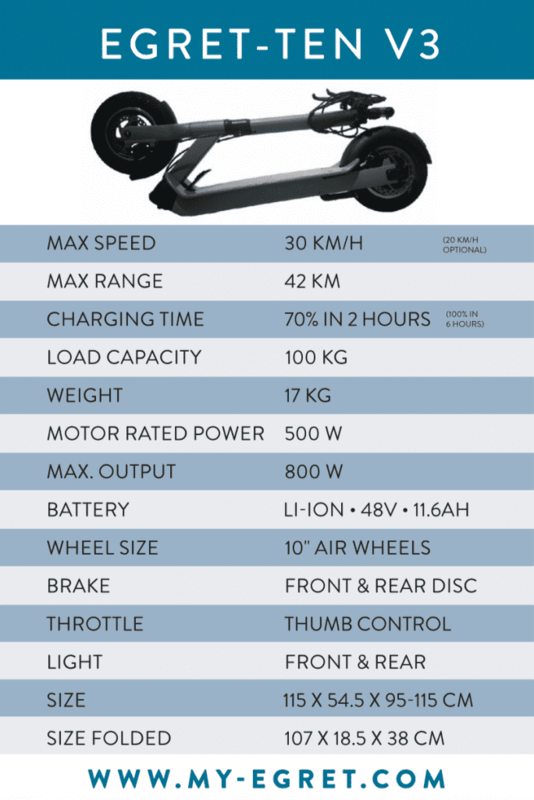 Move through the city with up to 30 kph / 18 mph – up to 42 km / 26 miles without making a sound, thanks to the silent direct drive motor of this version. 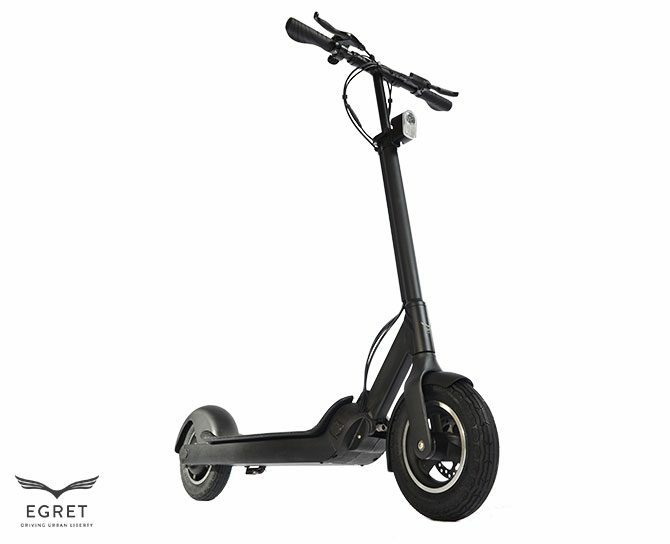 The sophisticated design and the high-end production perfectly complement your style.